Our plywood paneling for walls is available in a variety of laminates as well as genuine, unfinished fine wood veneers, all with a Lifetime Limited Warranty! Our durable pre-finished laminate motifs including a wide variety of stained wood grains, leather and abstract designer patterns, authentic and licensed Mossy Oak®, outdoor nature and hunting designs, and a host of weathered and rustic looks. Our plywood wall paneling is available in Beadboard, Designer, Flat Library Panel, Random Plank, Grooved, Rustic and Wainscoting styles. 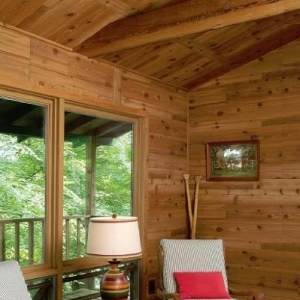 No matter the style, all of our plywood paneling outperforms MDF, particleboard, hardboard and other compressed products as plywood doesn't expand and contract with changes in temperature or humidity. All of our paneling carries a Class C Fire Rating of 200 or less, and our 5.2mm (approximately 1/4") plywood panels offer structural strength and can be attached directly to wall studs! Laminate paneling is ready to install and needs no additional finishing; its pattern and color are permanent. 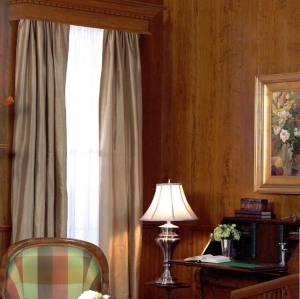 Genuine unfinished wood veneer paneling requires finishing and is ready to accept paints or stains. 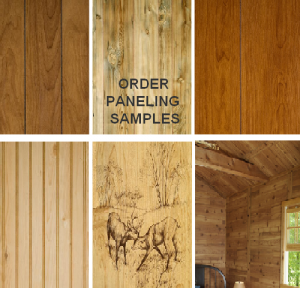 Let us open up a world of paneling project possibilities for you! The minimum quantities are posted on each page, but you may mix/match different paneling styles to meet the minimums and to qualify for aggregate quantity pricing. Once you've decided to give a room a new look, step back and assess the mood you want to create. If you will be custom staining or painting the paneling, make sure to use our unfinished wood veneer paneling. 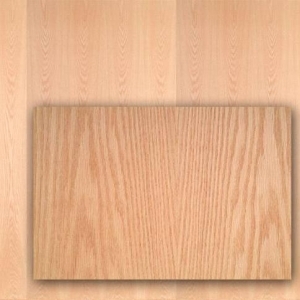 If you want pre-finished paneling that doesn't require painting or staining, select from our laminated paneling. Choose a style and color that is complimentary or consistent with the look you want to achieve. 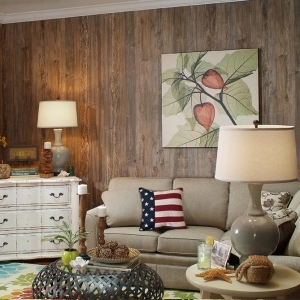 Traditional cherry laminate paneling might be gorgeous in a formal dining room, but paneling with a rustic or weathered look might give you the warmth and charm needed in more casual areas. Don't be afraid to mix design elements. 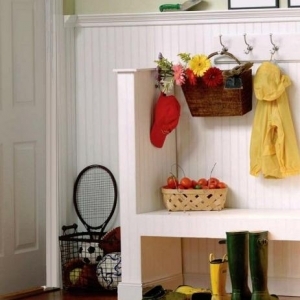 For instance, you could use natural wood baseboards or chair rails in combination with paneling with an alternate finish. A combination of styles lends authenticity and unique styling to any room.